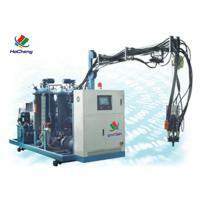 Home Companies HuizhouHeChen Mechanical Equipment Co.,Ltd. made by my Foam Molding Machine. HC-201 Series High Pressure Polyurethane (PU) Injection Machine was designed and upgraded by integrating European technology standards and our all these years achievements. This latest PU injection machine consists of hydraulic system, pneumatic system, automatic frequency conversion system, electronic control system, mass metering system, magnetic control system, temperature control system, premixing system, high pressure stirring system, the PLC central control system and so on. We have invested heavily in talent pools and technician team to address the technical problem that was blocking in the application of polyurethane equipment, developed the state of the art auto cleaning high pressure mixing head, auto high / low voltage switch device, mass gas self-control technology, chill and heat dual purpose temperature control technology, pressure and flow self-control technology. 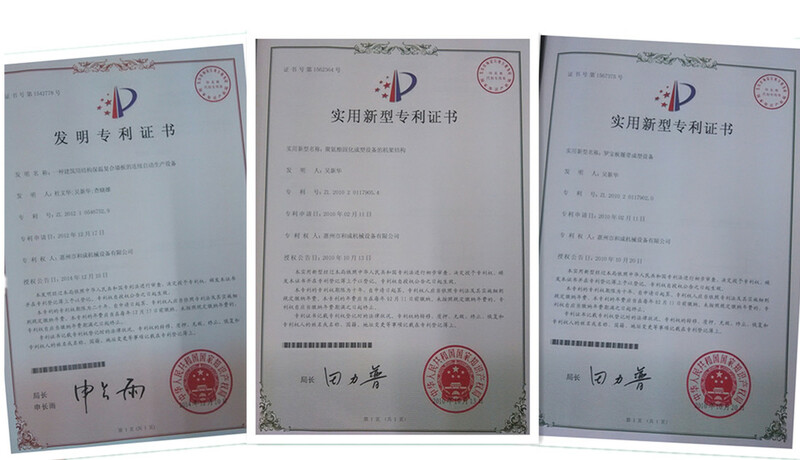 The said achievements have witnessed our grown in the field of PU industry, won us high accreditations in PU application both at home and abroad. High pressure PU injection machine has been widely introduced in fields of automobiles inner decoration production, air conditioning, refrigerating industry, cold storing industry, decorative building materials, wood imitation furniture, solar energy industry, insulation materials and so on. It 's ideal for making menory pillow, safety shoe, leisure shoe, ice tank and other insulation funactional products. 1, On the turning circularity molding line which is mould-frame of horizontal multi-position, there are all kinds of specification and model moulds of sole and upper-link molding. When molding line runs equably and circularly, the pouring head of polyurethane foame machine or polyurethane pouring molding two purpose machine pour mix material liquid into the moulds continuously, after the material liquid processed molding in the moulds, which make many kinds of eligible molding shoes or soles. polyurethane foam machine matches with sole molding molding line(60 position or more), we produce polyurethane soles by 50 shoe moulds, 10 hours one day and 8 circles/hour, as the rotating speed, it can yield 4000 pairs of soles per day. 3, Polyurethane foamed machine matches with sole upper-link molding production line(60 position), we are produce 10 hours one day and 8 circles/hour, as the rotating speed, it can yield 1200 pairs of soles per day. 4, Double color, double density polyurethane sole or upper-link molding shoe products, this techniques should be second pouring, so productivity will be decline. 2, Self-diagnosis, alarming and monitoring functions and multi-language alternatives. 7, Emergent halt protection device. 1. Latest configuration system and friendly maintenance. 2. Making flexible foam, rigid foam and semi rigid PU foam sheets etc in double density. 3. Suitable for direct soling injection of single PU or colorful PU. 4. Each injection unit is equipped with two colors with accurate measurement of painting. 7. Stable rotation and accurate positioning. 8 High mold clamping force. 9. Independent PLC control for each station with multi-function. 10 :any colors can be made. car seat armrest polyurethane foam molding. HC-201 series PU foam injection machine is ideal for molding equipment to produce world class leather shoes, leisure PU memory pillows, seat cushions, sports shoes etc. Its performance has reached the same level of foreign competitive products and can fill in the very domestic blank. Huizhou HeCheng Mechanical Equipment Co., Ltd. Within one week after the machine arrived at your factory. 2. How many days will you finish installing? complete the equipment installation, erection, start-up commissioning and personnel training. 3. What would be charged for your engineers to install and train our people at oversea plant? and their salary. It is our policy to charge USD 150 per capita per day. All our machines are with one year guarantee, starting from the date of completing the commissioning. 6. What should we do if the parts broken within warranty? installation experience. In addition, they can use body language to communicate with your people. 8. Can you help us find any engineer in our location? Of course, we will check and inform you as soon as possible.